This show just continues to deliver a ton of laughs and likable characters. And it does seem to understand the audience. They of course didn’t have the intro for Kaguya and Shirogane again, but they even slapped the fast-forward button for the standard intro segment before the OP. No doubt they were aware people might have had enough of the same material before the OP started so this time they just hurried it up XD. Not that there wasn’t reason for what happened last week. It does appear they were adapting a chapter that came right after the manga switched magazines and thus were honoring the source material by repeating the intro they used when that switch happened. And here they just understand people want to get to the OP and jump into the episode so they speed up the first part in a pretty fun way. I kind of need to start at the end because that ED was just glorious. 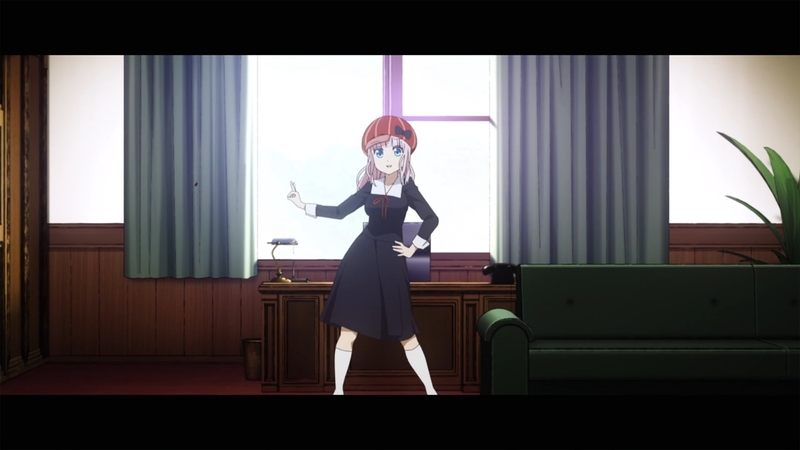 So instead of just that Kaguya dream ED, we got something so completely different. This time we just give the stage to Fujiwara and say “dance!” Not quite 2 minutes of Fujiwara just going to town and singing her own ending song. That was just pure fun. Especially when she grabs the hat that’s been sitting on the desk to that point, puts it on, dances for a bit and then tosses it. I’ll wait to see instead of looking it up, but I’m curious to find out how many different ED sequences we might get here. 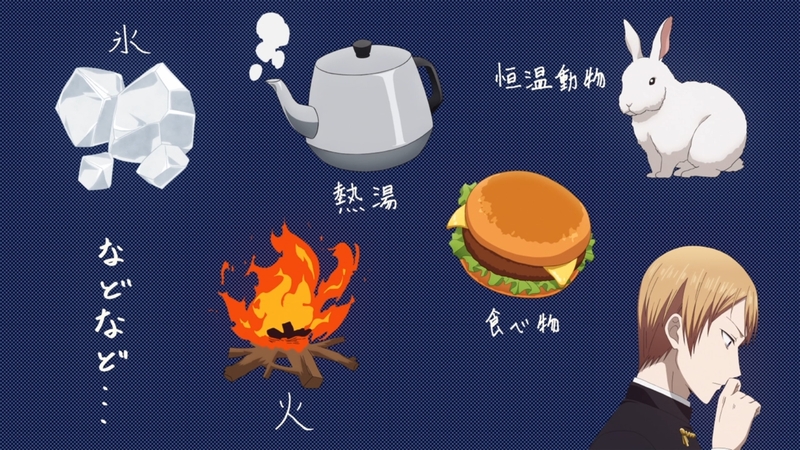 It might be at least 3 or more if they give Shirogane an ED sequence and the mystery member of the council Ishigami. The guessing game was pretty fun since it was in some ways testing the viewers as well. 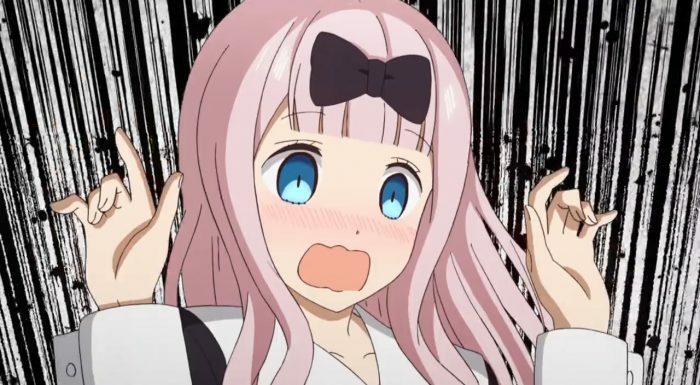 This was a rare time that we didn’t get into Kaguya’s head. That segment was almost entirely from Shirogane’s perspective. Which of course makes sense since it wouldn’t be as fun having a guessing game if we knew what the person with the answer was thinking. For a good while I was wondering if she went with something bold like thinking of Shirogane for the game. But as the game went on and considering Kaguya’s character…I came to the same conclusion as Shirogane. What I liked from that segment is how it does show that he understands her to some degree. He was both right that she likes him and right not to guess that it was him. Because it is entirely in Kaguya’s character to lay a trap to try and get him to indirectly confess. 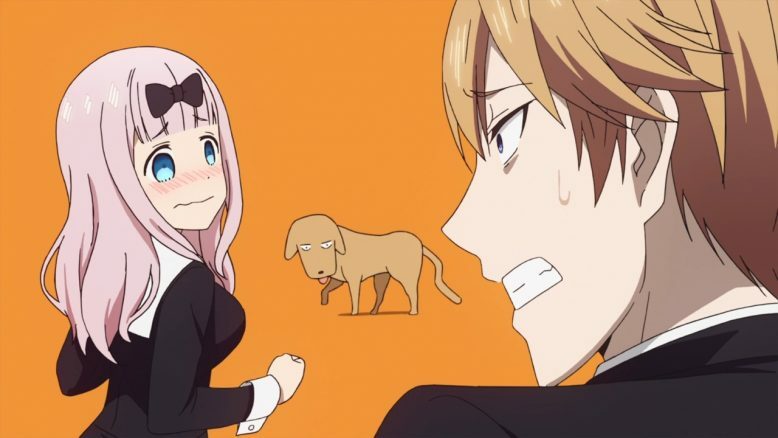 If he guesses that she’s thinking of him, and she shows the dog’s name on the paper then that’s a huge gain for her. I give him props for winning the game. They managed to spice it up as well with the gunshot visuals and showing Shirogane’s flubbed ninth question as a shaky bullet that just drops to the ground helplessly. The last part with her walking to school was a cute segment. The show doesn’t have to just be all about laughs, even though there was some comical parts. It just lets you get into Kaguya’s head a bit. She does have a lot of things in her favor, but people often want things they can’t easily attain. For Kaguya just seeing people walking to school with their friends was something she wanted to experience. As the magazine showed, that girl’s life has been rather restricted. And it did have some karmic justice in allowing her to still win after doing the right thing. She helped a kid get to school when she didn’t really need to. So many others were just ignoring that kid and not wanting to get involved. 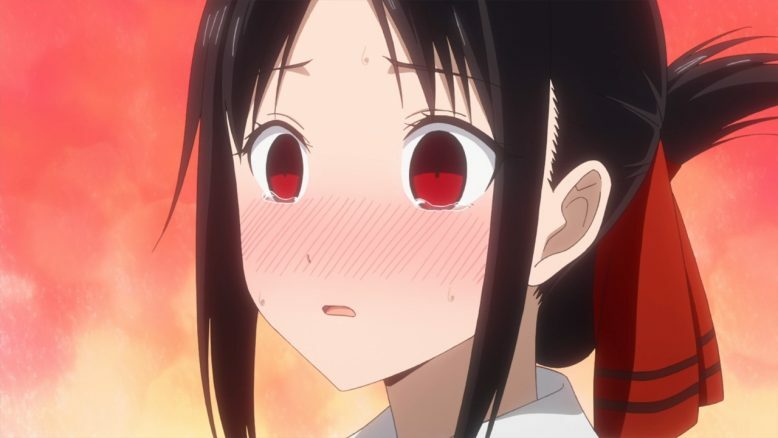 But Kaguya did a good thing, gave some good advice, and got something she really wanted. 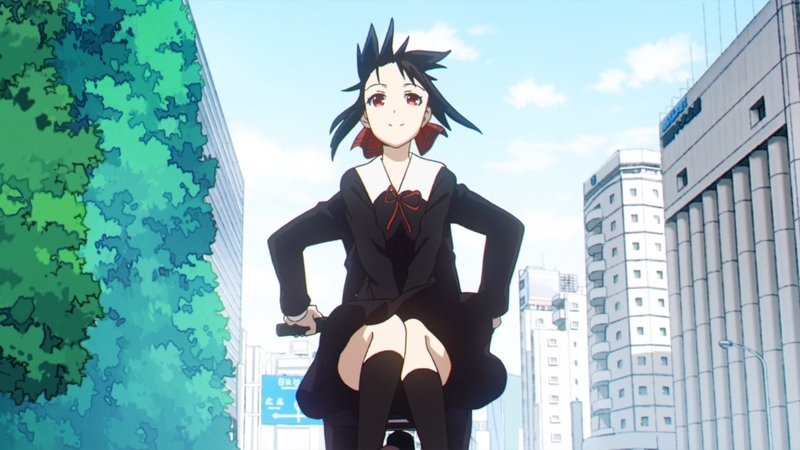 You could just feel the joy from her sitting on the back of Shirogane’s bike and getting a fresh kind of trip to school. It isn’t something she’ll easily get to do again, but it will remain a precious memory. And she’ll even get to remember doing something good for that kid and believing things will work out fine there too. This was just another great episode. We got some laughs, we got some heartwarming scenes, and we got to see a showdown from Shirogane’s point of view. On top of that we even got a totally hilarious ending sequence just so we could leave this episode laughing like crazy. I’ll consider that a total win. Considering they even name dropped a fourth member of the student council I’m looking forward to that character getting a real introduction. Good on the show for playing the mystery with that character. We are still adapting the early chapters and they aren’t going to force characters in that don’t need to appear yet. Also, I will note the subs were a bit hit/miss this week so consistently handling names right might be tough from official subs.